Today is my little Zouxi's third birthday. 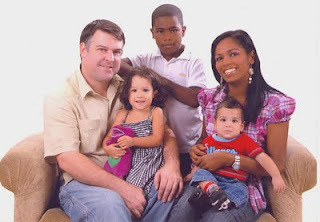 She lives in the Dominican Republic with her Mama, Eridania, Dad, Andy, and brothers, Alex and baby Rowan. To see if she’s all right. And soothe her baby storms. And He is always near. You hold her in your prayers. To watch her day by day. And He’s not too far away. And when she’s gone, I’ll pray.